It’s harvest time in the garden. 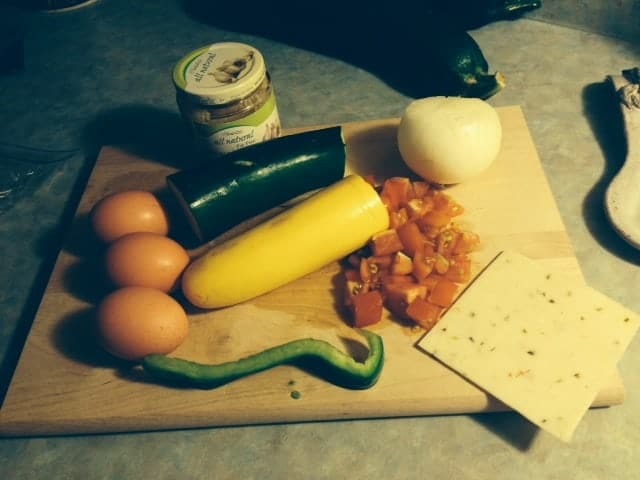 Here’s one idea for using up the bounty: a healthy, fairly fast, colorful Garden Vegetable Omelette! I LOVE fresh veggies, but they can be a bit overwhelming at times….